We had been away for over five weeks and were looking forward to seeing the family again. 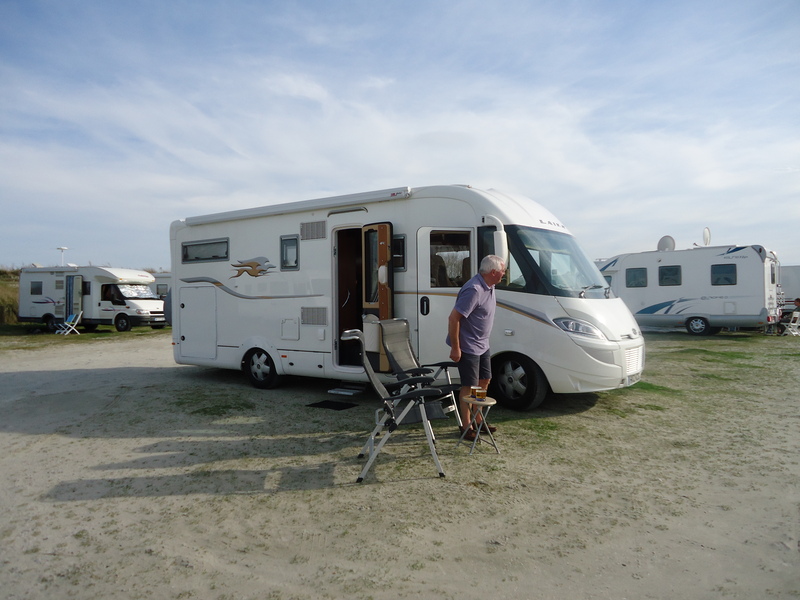 We set off from Le Crotoy and drove the 65K to the Eurotunnel Terminal. We really appreciated the unmanned but simple checking in process, as compared with our Sicilian ferry at Genova. Here the software recognised our registration number, offered us a choice of travel times at no extra cost and we were soon on our way to England. 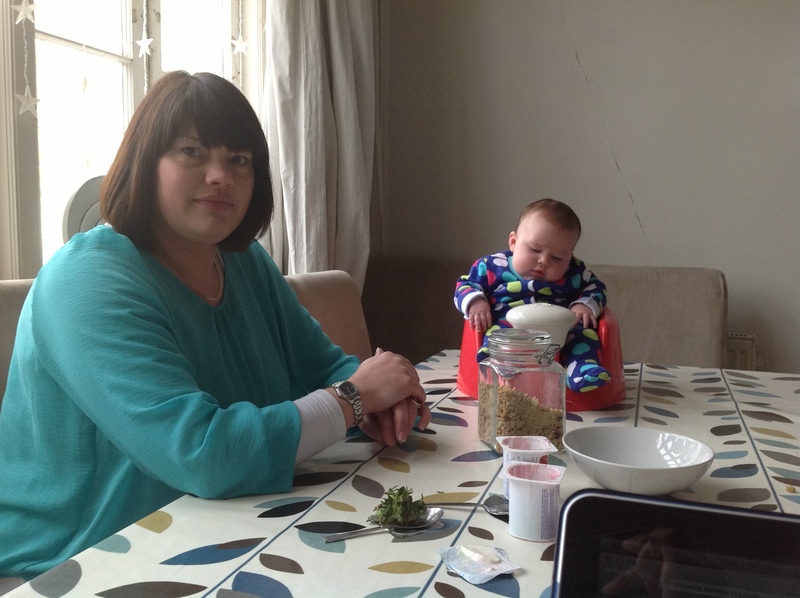 We called in on Kate and Neil, little Violet was now three months old and had nearly doubled her birth weight. 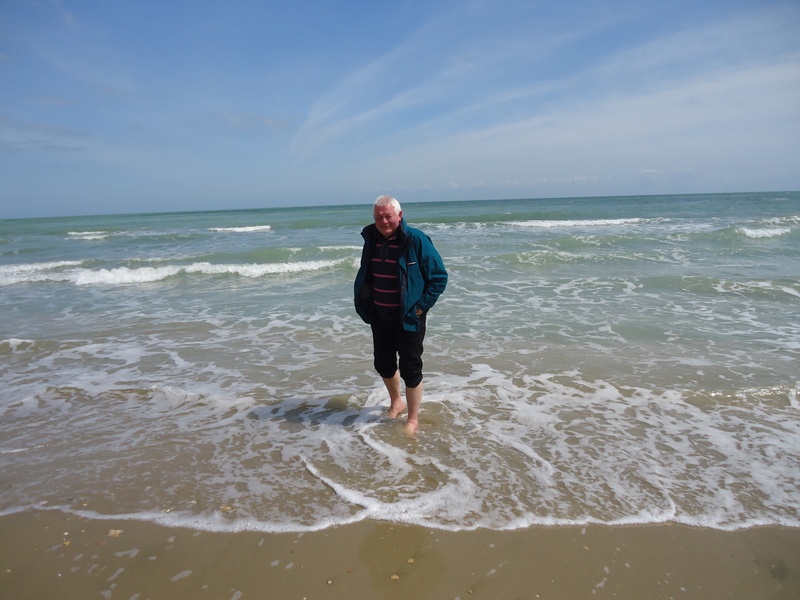 We left Folkestone the following morning and arrived at West Wittering early in the afternoon. End of blog! We were sorry to leave San Remo but it was time to head home. 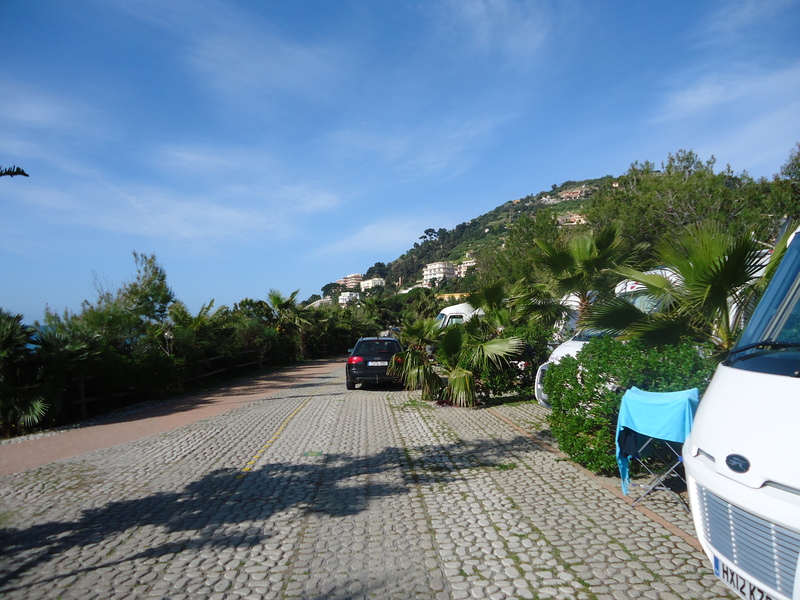 We drove west towards France along the Cote d’Azure, passing Menton, Monte Carlo and Antibes before turning north towards Lyon. That evening we found a good campsite just outside Lyon in a wooded park area. We sat in the evening sunshine enjoying a drink before dinner. Bread and croissants were ordered from Reception for breakfast and then we were on the road again. The tolls on the autoroute seemed expensive but the miles flew by and fuel consumption was much better than if we were driving on smaller windy roads. 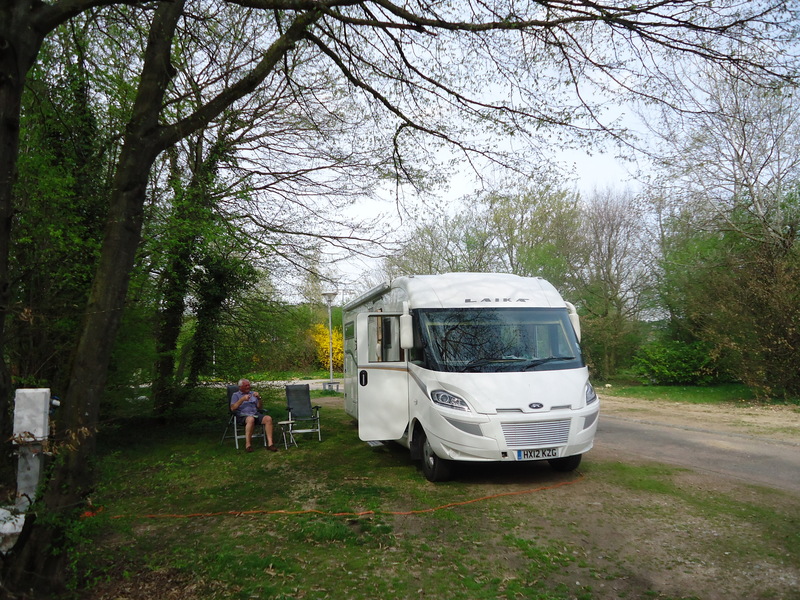 Our route was to take us through Dijon, Troyes and then on to Reims – unfortunately our satnav had other ideas and we found ourselves hurtling towards Paris. Quelle horror! We have more than once been reduced to gibbering wrecks by the Paris Periphique. As soon as a good alternative presented itself we left the Paris-bound autoroute and drove sedately along the D671 from Dijon to Troyes. It turned out to be a beautiful drive through champagne country (no, we didn’t). We rejoined the motorway at Troyes to continue our journey at a more sprightly pace. 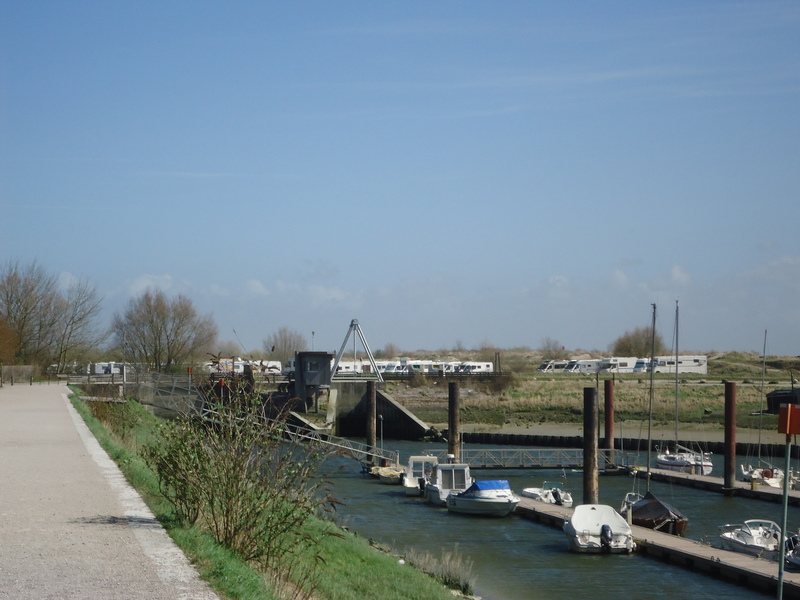 We passed through St. Quentin and Amiens and on to the coast. We were heading towards Le Crotoy, a small fishing town on the Channel coast just up from Dieppe. 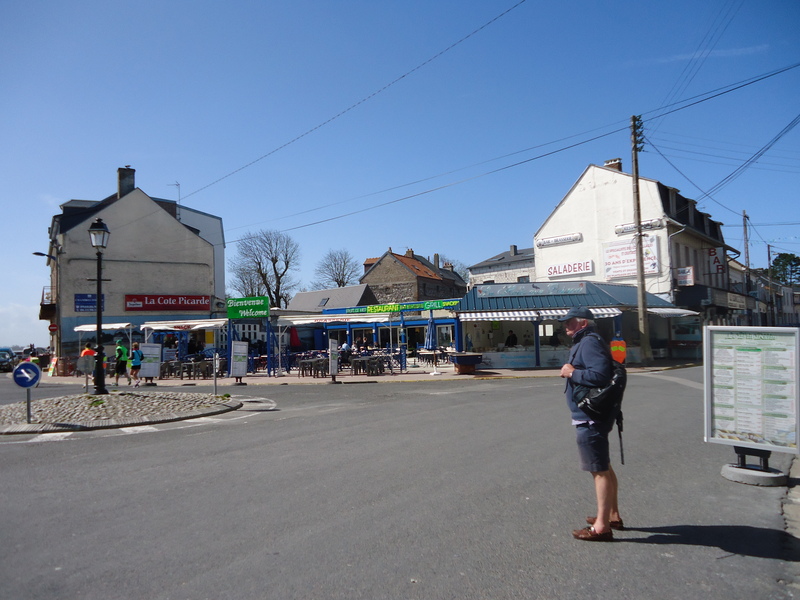 This friendly little town, in common with so many French towns, had a municipal campsite for camper vans – no tents or caravans. 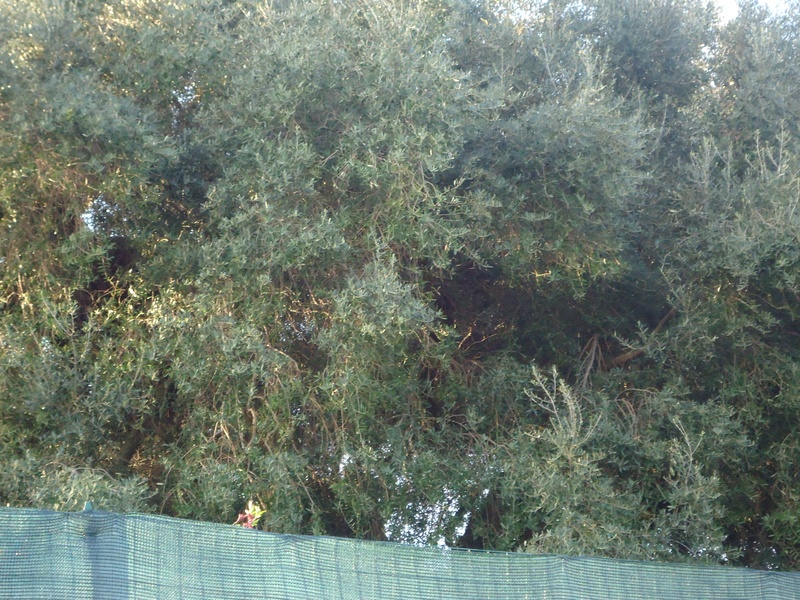 There were about 60 vans on the site that evening, each paying an overnight parking fee of €5. 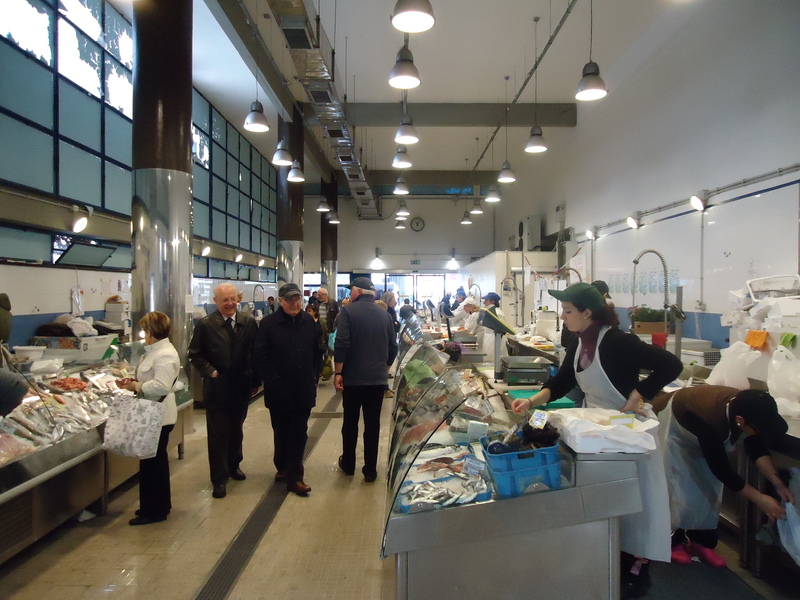 It was a short walk along the quay to the town centre where there were fresh fish stalls and a variety of shops and restaurants. 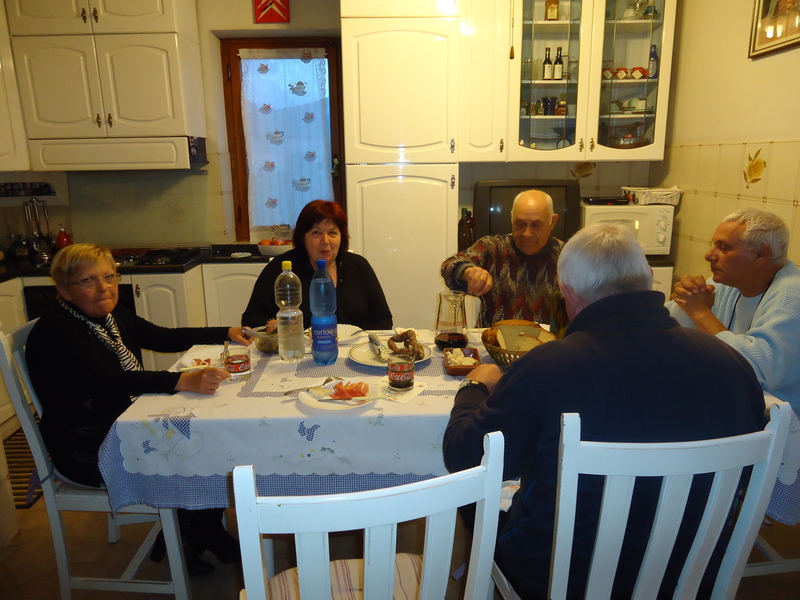 We ate oysters, followed by sole and skate with chips and salad, washed down with a bottle of the palest rose wine. 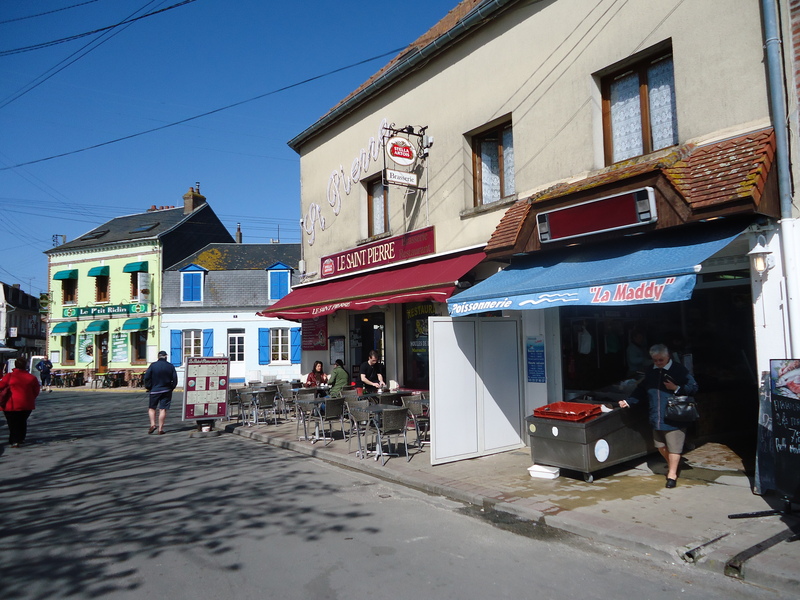 We spotted several of our fellow campers enjoying a meal in the restaurant and guessed that the people of Le Crotoy were well rewarded for their generosity in allowing camper vans to stop in their town overnight. The weather was warm (20 degrees) and sunny with just a few clouds topping the highest hills surrounding the town. San Remo town was about 4k away from the campsite along a wide cycle path that must have been a coastal railway at some time. The path travelled on for 25k. 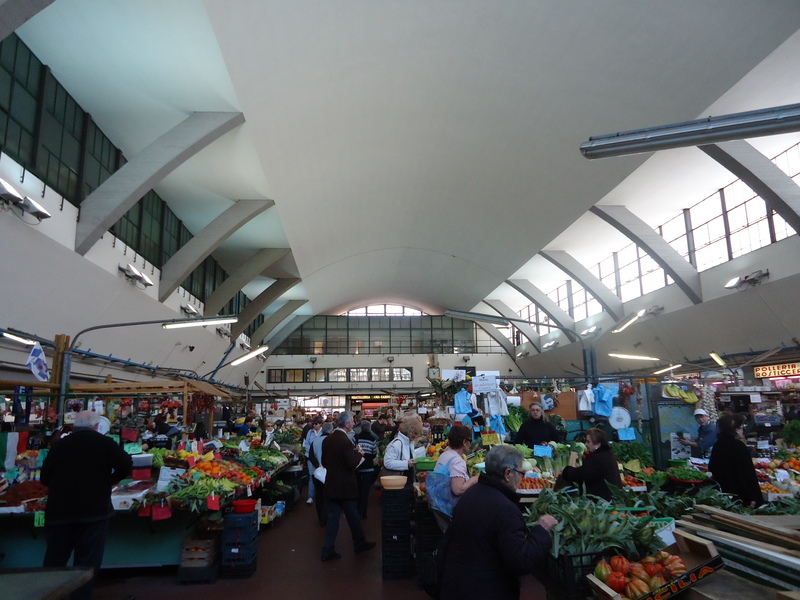 Saturday was market day and we enjoyed a leisurely stroll through the stalls, mostly selling the usual market rubbish but there was a covered marked selling fresh produce – fruit and vegetables, fresh fish, meat and cheeses as well as olives, bread , pasta and so on. We stopped for a beer at a sunny cafe in one of the lovely squares and then went on to the port for lunch at a fish restaurant close to where the fishing boats unloaded. 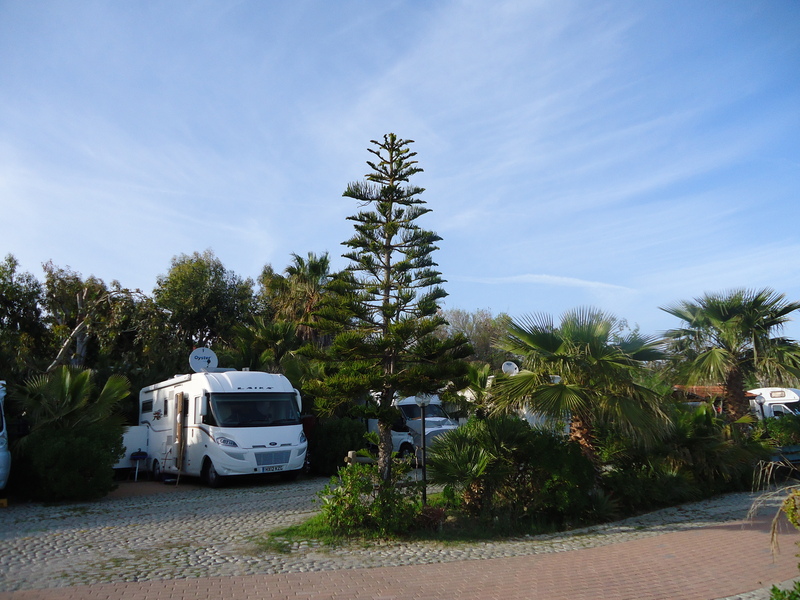 We planned to stay in San Remo for a few days before heading north towards home. 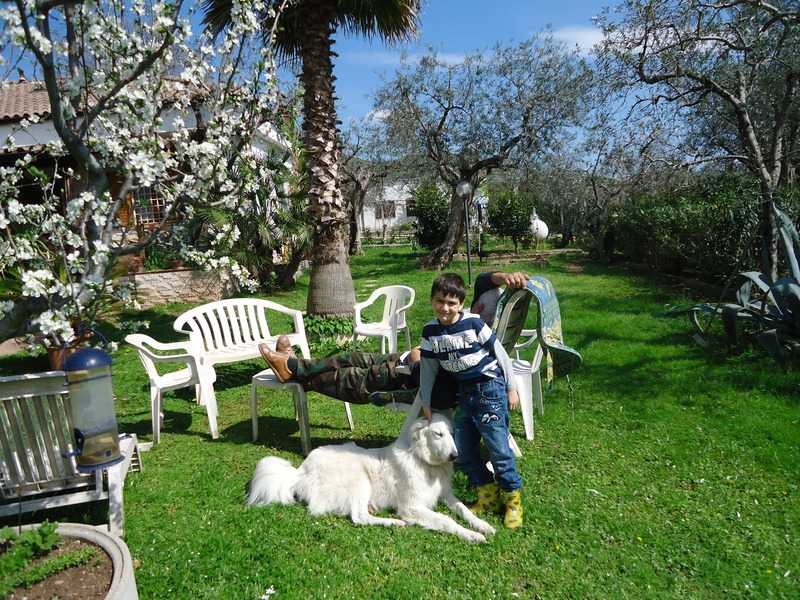 We were very sad to have to say goodbye to our dear friends who had looked after us so well in Tivoli – Jacqui and Sergio, their daughter, Tamara and her husband, Roberto and their son, Valerio – and the dog Flora. We headed west to the coast, stopping at the Laika factory near Florence, where we got a warm welcome from their Sales Manager and were shown the production line. 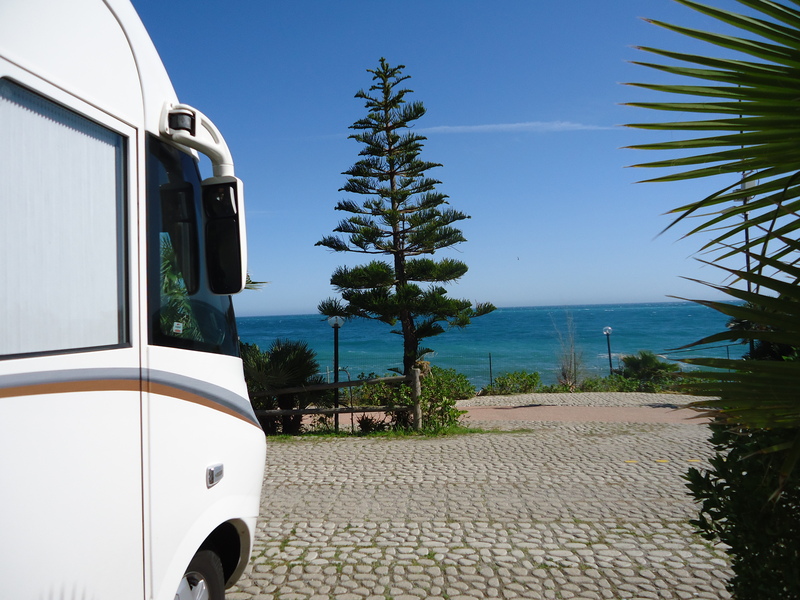 We spent the night near Luca and then headed along the coast, past Genoa and down to San Remo in Liguria. 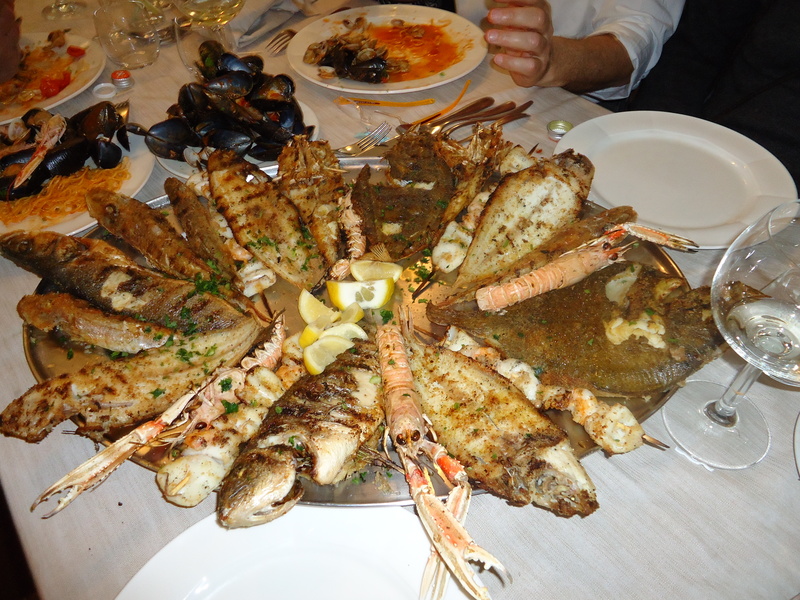 A restaurant had been booked at a popular fish restaurant on the east coast for Sunday lunch. 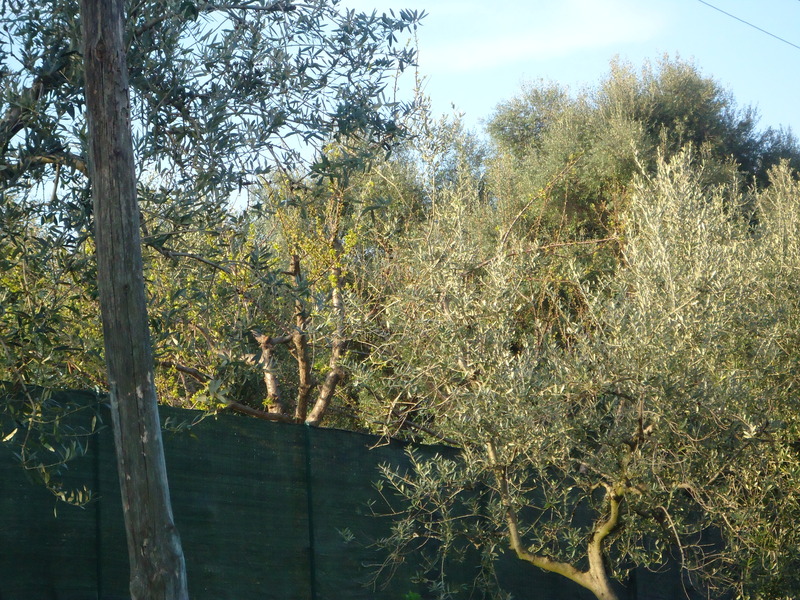 We drove from Tivoli towards Pescara on the Adriatic coast. The drive took more than two hours each way, the scenery was spectacular as we climbed up to the mountains. We travelled through a series of tunnels, one of them was 12 km long. 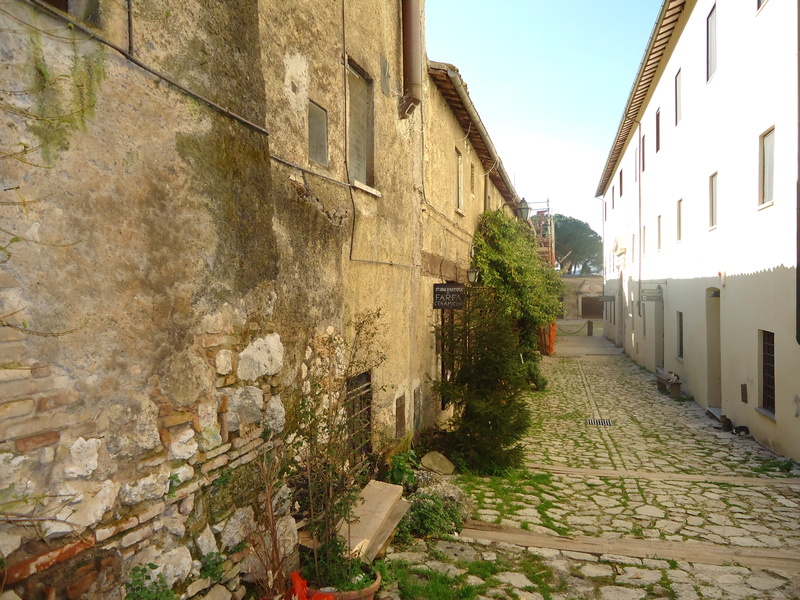 There were eight of us in two cars – Jacqui and Sergio, Sergio’s brother, Bruno and Teresa and their neighbours, Guilio and Irma. 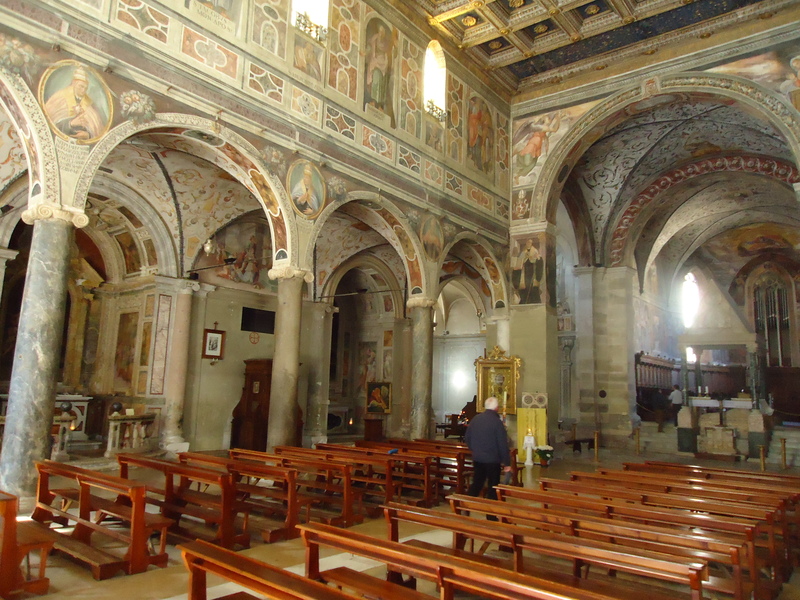 We stopped off to at Teramo in the mountains to visit the shrine of St Gabriele. 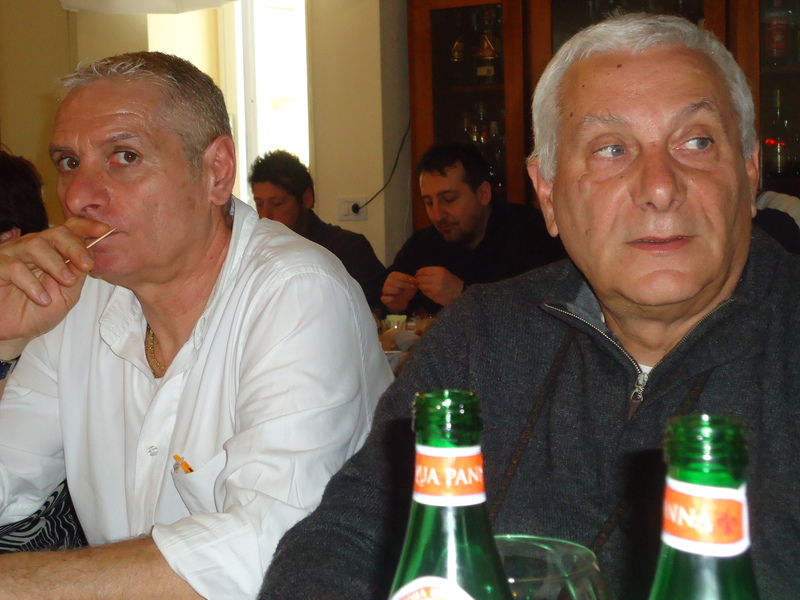 We reached the Adriatic Coast in good time for lunch at Alba Adria. The restaurant was soon packed with large family groups, enjoying a huge array of delicious fish dishes, both hot and cold. 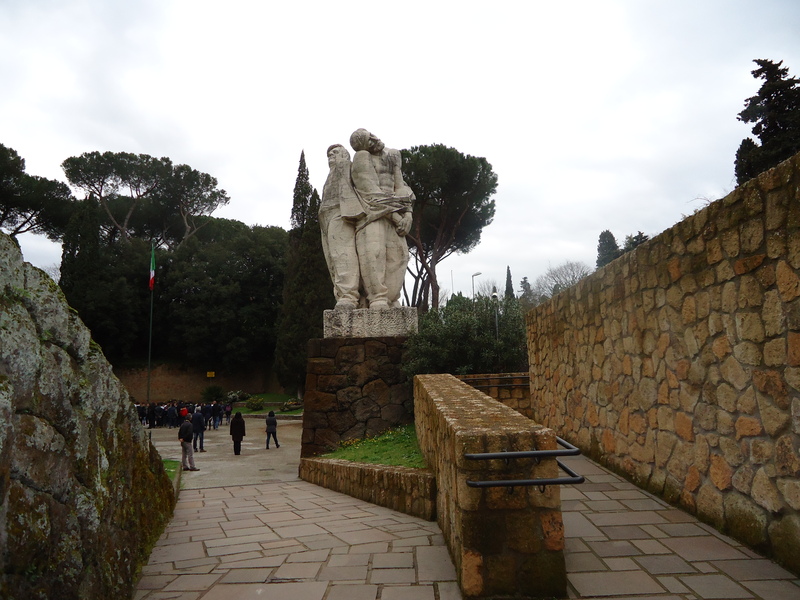 We drove to the Lakes, where the Pope had his summer palace at Castel Gandolfo. Pope Emeritus Benedict, who had recently stood down, was living in the summer palace, waiting for his new residence to be completed at the Vatican. We stopped for lunch at a lakeside restaurant – pork and bread, olives and a mature sheep’s cheese. 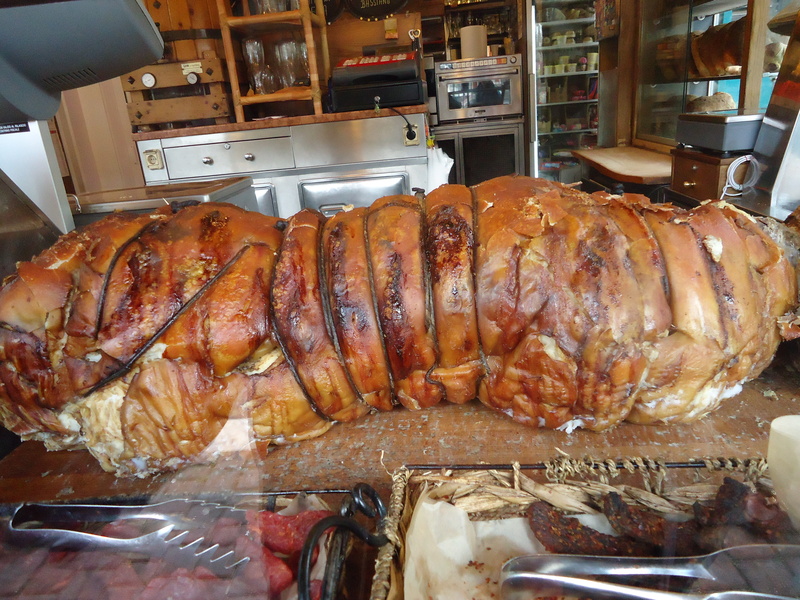 Porchetta is a famous delicacy from the area and is often sold from stalls along the roadside. 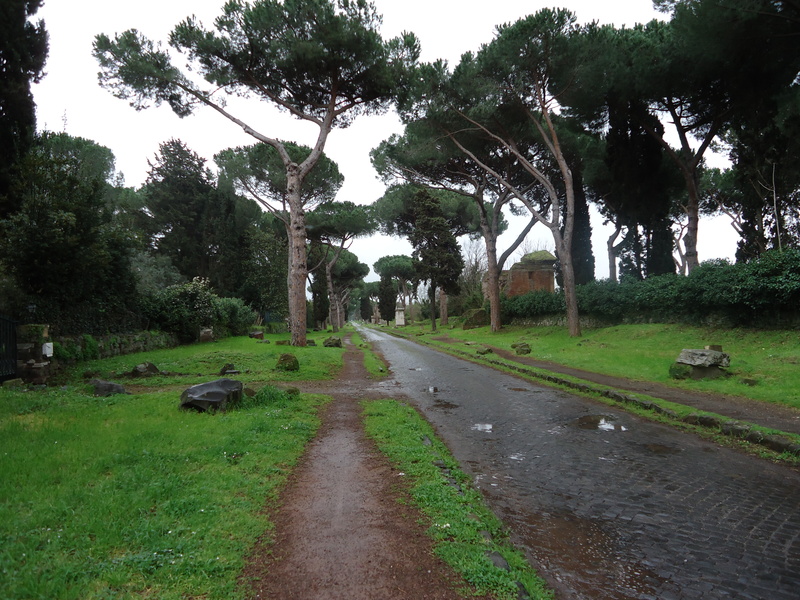 We drove down the Appian Way, an ancient Roman road that runs from the Colosseum in Rome to Brindisi in the heel of Italy. We visited the catacombs at Fosse Ardeatine where we visited a beautiful memorial to 334 men shot by the Nazis in 1944 in retribution for an attack on the Germans by partisans. 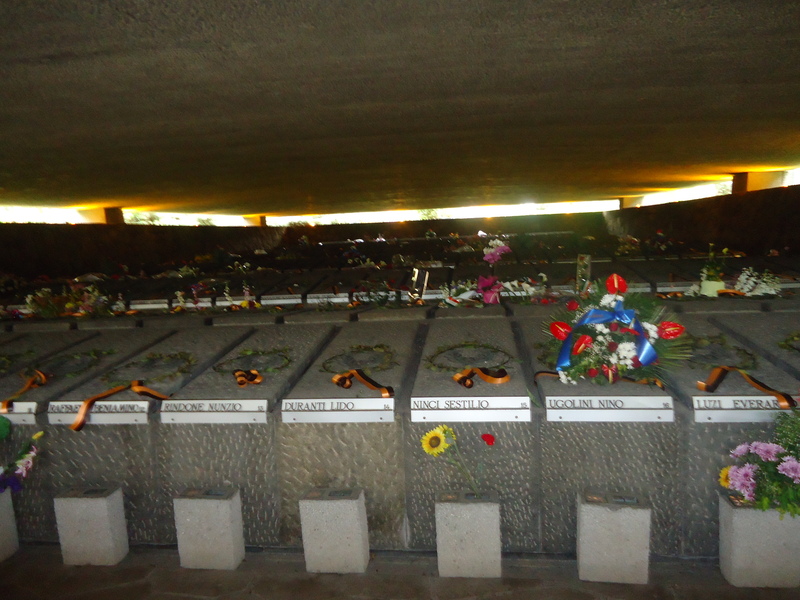 There were 334 tombs, carefully kept with fresh flowers on the graves.